U.S. Air Force aviator who flew aircraft in combat over Nazi Germany during World War II. He also flew in Vietnam. 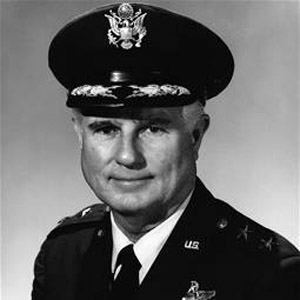 He graduated from the University of California, Berkeley in 1938, and enlisted as an aviation cadet in the United States Army Air Corps a year later. He received the Legion of Merit with oak leaf cluster along with many other awards for his service success. He was born and raised in Pittsburgh, Pennsylvania. He served the United States while Harry S. Truman was President.